Norwegian Cruise Line has also now altered itineraries for 3 cruise ships including Norwegian gem, Norwegian Breakaway and Norwegian Dawn. Norwegian Dawn will depart Bermuda at 6 am tomorrow, Tuesday, August 26. If conditions prevent Norwegian Gem from anchoring at Great Stirrup Cay, tomorrow, Tuesday, August 26, the ship will proceed to Nassau and stay overnight through 6 pm on Wednesday. Norwegian Breakaway will modify her Bermuda itinerary and sail south to arrive in Port Canaveral, Florida on Wednesday, August 27 and will call in Nassau on Thursday, August 28. Guests on board these vessels will be kept up to date by the ships’ Captain. Should there be any further updates, they will be immediately posted here. We thank our guests’ for their understanding. 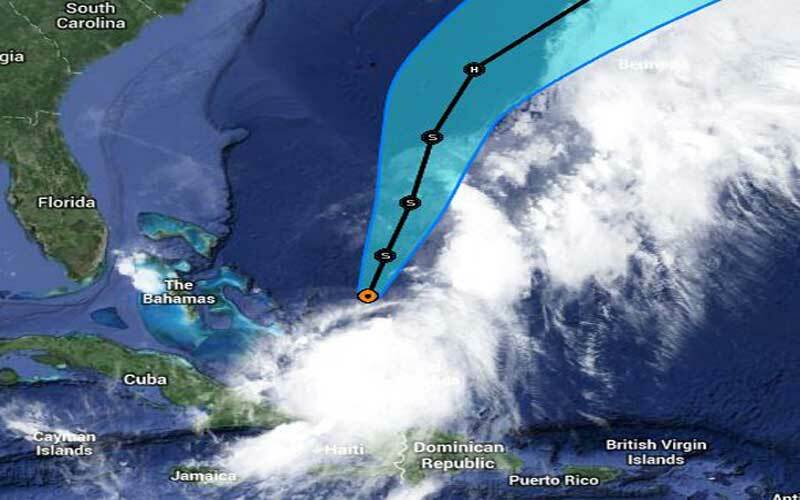 Tropical Storm Cristobal is currently moving north away from the Bahamas but is still causing disruption within the cruise industry. According to Cruise Critic several cruise lines have already been forced to change ship itineraries including Carnival Cruise Lines, Royal Caribbean and Disney Cruise Line. Many of the ships cruise to the Bahamas which is the region the storm has almost passed. Yesterday Carnival Splendor called in Nassau, Bahamas instead of visiting Carnivals private island Half Moon Cay. Today the ship is calling at Port Canaveral, Florida instead of Nassau. Another Carnival ship the Carnival Liberty has also changed the order of port visits. Royal Caribbean’s Oasis of the Seas also skipped Nassau, Bahamas for a day at sea and Freedom of the Seas today is skipping CoCoCay for a day at sea. Disney Fantasy which is operated by Disney Cruise Lines has swapped St Marten with San Juan, Puerto Rico on August 26th. As Tropical Storm Cristobal passes the Bahamas more cruise ships may be affected but in the coming days the storm will move away the Caribbean region and further into the Atlantic ocean. At the moment according to NOAA the storm has maximum sustained winds of 60 mph and is moving north at 2 mph. The storm is expected to strengthen over the next day or so.